If you’re thinking about relocating to the Nashville area or if you’re making a move within middle Tennessee, here are some steps to take and things to consider. Middle Tennessee offers many diverse areas! Buying and selling a home is always easier if you’re not alone. There are at least 3 members you should have on your team. Find a great Realtor that works for you and has your best interests in mind. Don’t resign to using the seller’s agent and think that will save money. You won’t have an advocate to ensure your getting the best deal you can. When relocating from another area, make sure to research and find an agent, early on, who can show you areas that fit what you’re looking for. You will need a good lender who offers the loan product you need whether it’s VA, conventional, FHA, or another loan type. We recommend choosing a lender that is reachable. There are cheaper options but they can be hard to get on the phone and you might talk to a different person every time you deal with them. You also want someone who will close when they say they will. Sometimes buyers overlook their choice in title company. Especially when buying an older home, you want a competent title company that will thoroughly research the title history and offer comprehensive title insurance. It is becoming increasingly important to get pre-approved before beginning your home search. Sellers want an offer from a buyer with solid financing to give them the confidence that the buyer won’t back out after weeks in escrow. But, it’s equally beneficial to know your buying power and know the current interest rates and how that affects your payment. Often, buyers confuse “Pre-qualification” and “Pre-approval”. To get pre-qualified a buyer tells a lender about their situation and the lender gives them an estimate based on those claims. To get pre-approved the lender actually researches and verifies those claims. We recommend getting pre-approved before you even begin looking for homes. You know what homes to look at, right away, and your offers will be much stronger. The lender will verify your income and credit claims by requesting copies of tax and income records. Take some time to compile your list of must-haves and nice-to-haves. What color do you want the kitchen cabinets to be? How many bedrooms do you want? How much land? Floors? Counters? We want to help you find a home you’ll enjoy living in. It’s normal for your requirements to change throughout the process, but get an initial list down. It will make the search more organized. 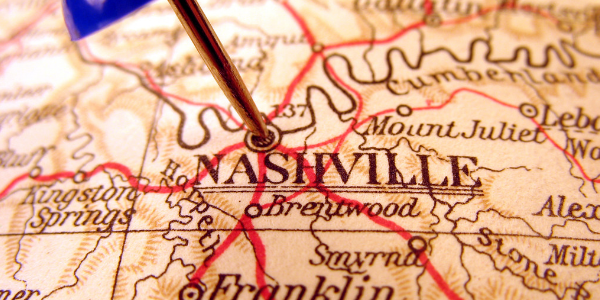 There are are many great neighborhoods in the Nashville area. While you don’t have to pick just one and restrict your search to only that neighborhood, you should narrow it down to 2 or 3, at the most. Nashville offers trendy downtown condos and historic craftsman bungalows. Victorian to contemporary and everything in between. Nashville’s suburban towns offer slightly quieter living. Brentwood, Franklin, Thompson’s Station, Spring Hill, Murfreesboro – they each offer something slightly different. Research all the things important to you in a neighborhood and that’s where we’ll begin our search. Keep in mind, there are things your agent can’t tell you and should avoid steering you to a certain area. Once you’ve narrowed down to an area or two and listed your wants and needs, start looking at homes! Most begin searching online due to the convenience, but it can be beneficial to get out and drive around. A good approach is to work with your realtor to identify several homes that you might be interested in and schedule an afternoon to go see them. You can also take the time to drive around to the homes and see what the area is like at different times of day. We specialize in helping people from out of state relocate to this area. We use technology to show you houses when you’re not here. We have used Facetime, Skype, or recorded video to give clients a feel for homes they might be interested in. You’ve found the house you want in the neighborhood and area you want. Now, it’s time to get it under contract. Your agent will look at comparable homes to verify the asking price is in the correct range. Your realtor will advise you to include contingencies for inspection and possibly financing. You will decide how much earnest money to offer and the overall sale price. This can be a stressful and exciting time, but be prepared to go back and forth with the seller a little bit. Once your offer is accepted you’ll be in under contract/in escrow. All agreements and conditions in the purchase and sale agreement must be met. You’ll have your inspections of the property performed and some negotiations could take place to ask for repairs to be done. A day or two before closing, you’ll perform a final walk-through of the property. Don’t go through the motions – this is your chance to make sure the home is in the same or better condition. You’re there! It’s time to finalize the deal. Closing costs typically range between 2.5%-3.5% of the purchase price. The title company will calculate all costs and put them into an Alta/Settlement Statement. Your agent should have this statement 24 hours before closing so you’ll know the exact amount to pay at the closing table, However, because several parties are involved in getting all of the information, you may not see it until the day of closing. Your agent should review the Alta Statement, as soon as possible, to make sure the numbers reflect the contract. This is where choosing a great team pays off. If everyone has done their job and all obligations have been met, you are a middle Tennessee homeowner!